We’ve spent the last couple of articles discussing the fact that most direct selling firms don’t understand what distributors really want—or the four steps you can take to fix this problem. Many firms recognize that technology can help reduce distributor and customer churn in direct selling, but they end up implementing the wrong solution to try to turn things around. All too often, that solution is a CRM solution. CRM solutions are great at what they’re designed to do: track calls and incidents and provide CRM automation. If you need help in one of these areas, you should definitely check out CRM solutions. 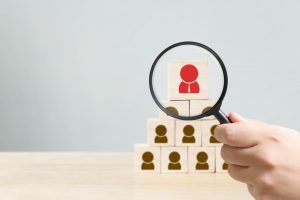 But if you’re trying to increase your distributor retention rates, a CRM system isn’t going to help because it’s not designed to reduce the type of churn that the direct selling industry experiences. Here’s why. Don’t Just Do Your Distributors’ Job for Them! A well-implemented CRM system can help companies take much better care of their customers. That’s normally a good thing. But in the case of direct selling firms, we’re not so sure. Stop and think about it for a moment: isn’t it your distributors’ job to take care of their customers? Most direct selling firms don’t see it this way. They see the churn rate reaching higher levels than they’d like. They see hundreds of uplines not doing enough about the problem and they don’t know how to convince their people to behave differently. So they implement one of the widely respected CRM solutions hoping that it will reduce attrition. But think about it: these direct selling firms are taking on a multimillion-dollar expense and adding to the workload of their corporate staff while continuing to pay out the same bonuses to their distributors—and they’re not doing anything that will actually convince distributors not to quit! We can’t fault these companies for trying to do something about their churn problem. And we think CRM is great. But in this case, it’s exactly the wrong technology to apply. Forgive our bluntness, but implementing CRM and taking customer care off your distributors’ plates is a cop-out. Instead, ask yourself why your distributors are neglecting a major part of their jobs. More than likely, your distributors know they’re supposed to be nurturing long-term customer relationships. But the work takes persistence and is easy to put off—and the messages you’ve been using to encourage them aren’t hitting the mark. Ask a behavior or neuroscientist and they’ll tell you distributors will only follow through on customer care when you make them feel safe and confident enough to do so. As we’ve covered before, your salesforce is diverse and exist in different behavioral groups or segments. Almost none of your distributors (if polled) would say they don’t want to take care of their people. You need to use exactly the right language for the right person at the right time, in order to get them to act. How will you determine what this language should be? By testing, tweaking, and testing again. As we discussed in our last article, the right AI solution (such as DirecTech Labs DISTRO®) can help you do just that. This is not to say that there’s no use for a CRM solution at a direct selling firm. You may very well believe that the benefits of CRM outweigh the significant costs and decide to move forward with an implementation. Some of your distributors can and do nurture customer relationships the way they’re supposed to. Rather than managing these relationships in CRM, you should leave these distributors to do what they do best, and keep paying them accordingly. For the rest of your distributors whose customer relationships you’re taking over, the reduced responsibilities should come with a reduction in pay. Now, how do you decide which distributors are which? Here’s another spot where AI can help you. AI technology tracks all the moves your distributors and customers make. It tells you who’s contacting customers and who isn’t. And it shows you the impact of those contacts. Gone are the days where we have no transparency into field behaviors. Use AI to segment your people to determine which messages are truly motivating them to do what they’re supposed to do. By using AI to form a clear picture of field behavior, you’ll be able to build a winning philosophy that truly rewards everyone at every level and encourages greater contributions to your bottom line. The companies that take these steps will find answers and grab market share. The companies that don’t will continue to flounder, always searching for the latest quick fix to the age-old retention problem. Which kind of company are you?